Satcom Global is celebrating the commercial introduction of the Iridium Certus maritime service by launching a range of offers, including bundles which are inclusive of ‘double data’ airtime as well as a brand-new terminal — as a high performance and reliable L-band companion, Iridium Certus will also boost Satcom Global’s Aura VSAT with superior back-up communications. Satcom Global’s exclusive Iridium Certus bundles will offer early adopters double the regular data allowance at no extra cost, providing either 500MB or 2GB of airtime, as well as inclusive hardware rental. Priced to deliver exceptional value, they will enable a wide range of maritime sectors to adopt the global L-band service, benefiting from brand new hardware, much faster data speeds and wider coverage for one, all inclusive monthly fee. The fee for the bundled offerings is equal to that currently being charged for existing L-band services without the hardware. 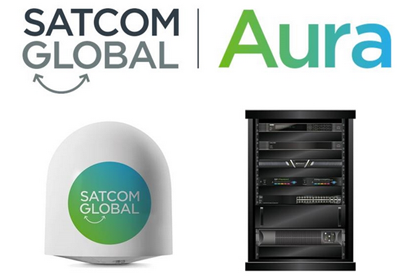 Iridium Certus will also enhance Satcom Global’s Aura VSAT by providing the most advanced solution on the market. As a dependable companion to Aura’s Ku-band service, Iridium Certus will debut at 352 kbps and, soon thereafter, deliver the fastest L-band speeds, up to 704 kbps, and provide three high-definition voice lines for quality business and crew calling. The ground-breaking service will enable Aura users to do much more in back-up mode; allowing crew to keep messaging and surfing the web and enabling the ongoing use of operational applications such as ECDIS and vessel monitoring. Thanks to the lightweight and small form factor, SAILOR 4300 and VesseLINK terminals developed by Cobham SATCOM and Thales, Iridium Certus is incredibly easy and low cost to install, making the solution simple to swap in. Furthermore, the SAILOR 4300 can be installed using the existing power supply, cable, mounting bracket and pedestal used for a number of pre-existing SAILOR terminals. Boasting a wide range of additional on-board services and applications, Iridium Certus customers will also benefit from an integrated Push-to-Talk radio capability and, in the future, Short Burst Data®, both of which are currently available as individual services. Operating on the brand new $3 billion Iridium® NEXT constellation, which according to the company is the only commercial satellite network to provide truly global coverage, Iridium Certus offers reliability and performance never seen before in the L-band market. Graeme Gordon, Global Commercial Director at Satcom Global, said that Iridium Certus is delivering a smaller, lighter, faster and less expensive alternative to any other L-band service and, with the company's specially developed bundles and uncomplicated installation, the firm is making it quite easy for maritime customers to upgrade to a much more capable communications solution. Iridium Certus is a true game changer for maritime communications and Satcom Global is excited to be a part of its success. The company has built one of the best Ku-band networks in the business and now Iridium Certus is taking Satcom Global Aura to the next level, bridging the capability gap between primary and back-up mode, with its impressive speeds and advanced functionality. As a key component of our VSAT offering, Iridium Certus will help us meet customer demand for superior communications whilst bringing a host of new opportunities, such as supporting the sailing of emerging Polar routes.